WhatsApp has recently submitted a new update through the Google Play Beta Program, bringing the version up to 2.18.335 version. This version crashes when you try to delete a media in the chat. We don’t recommend to update to the 2.18.335 version but you should wait the 2.18.336/337 update. WhatsApp has finally enabled in this beta update a new feature called Reply privately. As the name suggests, it allows to privately reply a message received in a group. 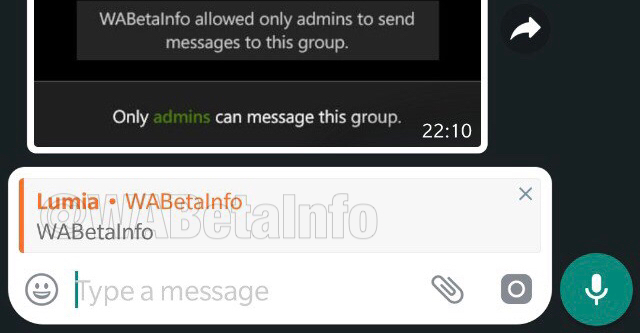 Note that you can also use this feature to privately reply old messages in a group where the Send messages feature is on “Only administrators”. The feature also works when the group was closed. Previous PostPrevious WhatsApp is rolling out the Stickers feature! 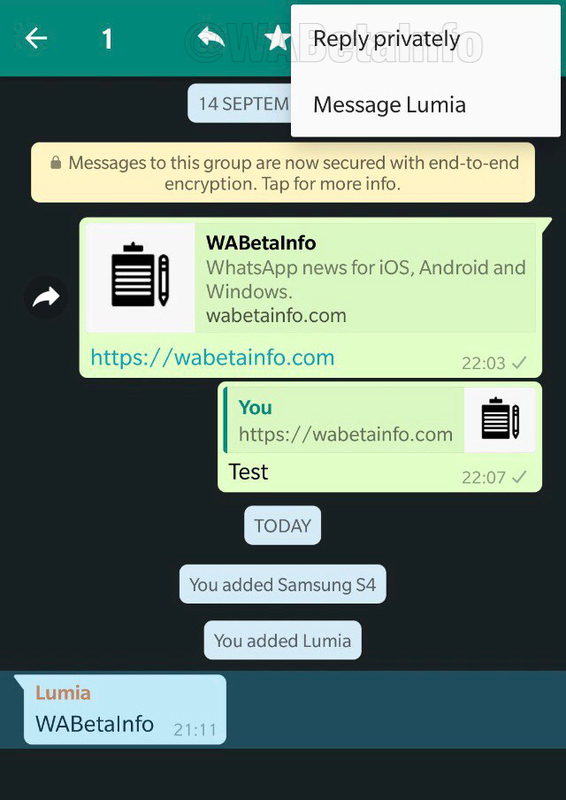 Next PostNext WhatsApp beta for Android 2.18.338: what’s new?